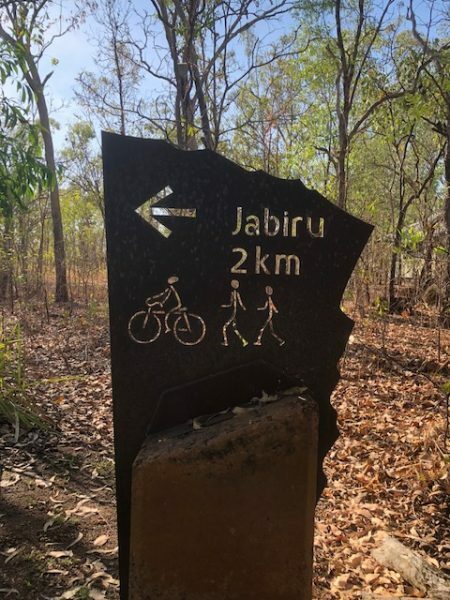 The Bowali Visitor Centre in Kakadu National Park is well worth a visit, check out the wonderful displays, enjoy some short documentaries in the theatre and browse through the great selection of souvenirs and gifts at the Marrawuddi Gallery. There is also a cafe where you can grab a bite to eat and a cold drink. Had a little time off the other day so decided to visit the Bowali Visitor Centre here in Kakadu as I havn’t been out there for a while. The Bowali Centre is located just 4 klms on the right hand side off the Kakadu Highway when you are entering from the Arnhem Highway. The Kakadu Visitor Centre is a great place to pick up maps and find out what is going on in Kakadu. The friendly staff there can advise you on the activities that are taking place around the Park such as Guided Walks, Ranger Talks and slide shows. The centre also has a small theatre where you can sit, relax and enjoy short films about Kakadu. Enjoy a bite to eat and a cold drink or coffee at the An-Me Cafe and browse through the wonderful selection of souvenirs and giftware at the Marrawuddi Gallery. If you havn’t purchased your Kakadu National Park Pass yet you can do so at the Bowali Visitor Centre. Alternatively you can purchase your park pass online or at other outlets in the Top End. See here for more information on the Kakadu National Park Pass.